Words like himself, herself, themselves, yourself (and so on) need some kind of matching reference in a limited grammatical environment. Here, himself needs to match with Taro. It’s no problem because the subject is in the same tensed clause, comes before himself, and also seems structurally higher up than himself. 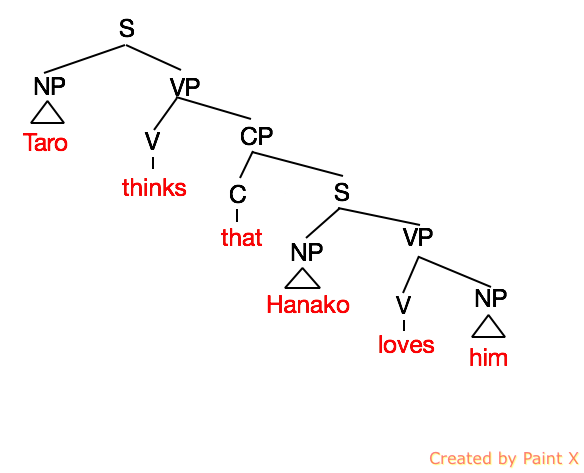 In this example, the pronoun him has to be matched with an expression (or individual) outside the tensed clause [Hanako loves him]. This can be Taro or someone else because Taro is in a higher tensed clause. 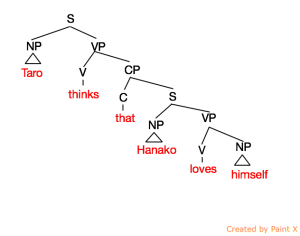 This example is NO GOOD because the reflexive pronoun himself NEEDS to be matched with an expression in the tensed clause [Hanako loves himself]. Taro is outside this environment and so cannot be matched. 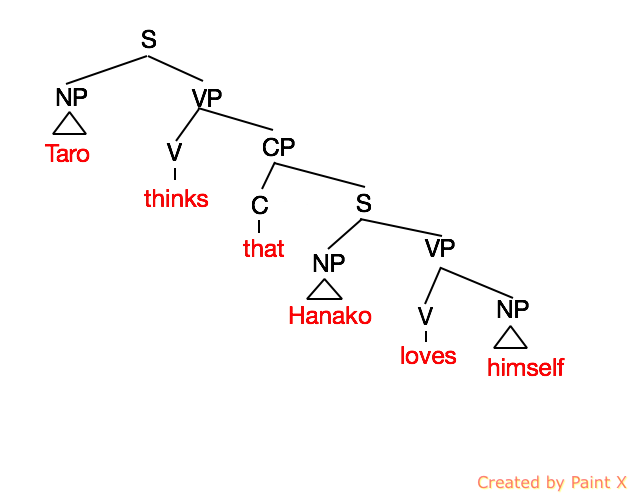 This kind of example shows that human language involves a subconscious awareness of structure that is quite puzzling. 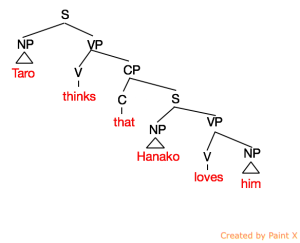 We might consider it evidence that human language involves special rules that are different from our normal mental processes. Chomsky, N. (2013) Problems of projection. 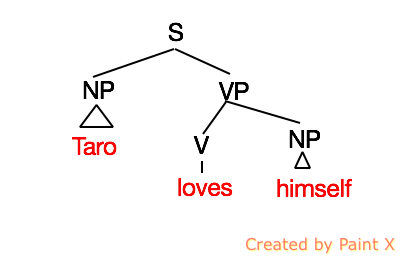 Lingua 130, 33-49.